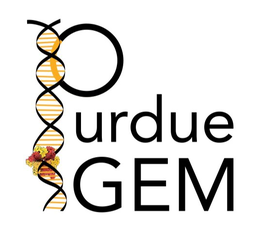 Greetings fellow iGEM members and enthusiasts, hope you’re all having a great summer! This week has been a busy week for the summer intern-team back over here, but we’re getting close to finally conducting our tests! On Monday we all worked as a team to develop our Microbial Fuel Cell (MFC) project as much as we could before we presented our ideas to the iGEM members and faculty advisors still located on campus on Tuesday. We developed presentations for the MFC project and the Lignin Project and ensured that both were as equally developed as one another by the end of the day. On Tuesday we presented our project ideas to our advisors and other members located on campus. After receiving feedback on both projects we came to the conclusion that we would be the most successful working on the lignin project, so long we ensured that our work was accurate and thorough. We put the MFC project on the shelf for next year’s jamboree because we would have more time to work and develop the project than if we worked on it this summer. For the rest of the day we continued to work on the lignin project and split into three teams. An assay team, killswitch team, and enzyme team. The assay team researched assays we would use to collect data for our project. The killswitch team found promoters and killswitches we would use on our engineered yeast strains, and the enzyme team collected and organized the enzymes we would test. We decided to test four different enzymes, two from termites and two from fungi, and two different helper enzymes. On Wednesday we have concluded that we’d test the enzymes/helper enzymes in combination and estimated about 120 tests to be conducted. We met with our graduate advisor, Sam Lee, and worked with her to develop our plasmids and G-Blocks. Originally, we assumed we could finish designing our plasmids and blocks by the end of Wednesday, but ran into some obstacles. We continued to work on developing our plasmids and had to continue working on them through Thursday and Friday. On Thursday we continued working on our plasmids and blocks and found “errors” on NCBI, the website we used to collect the sequences for our enzymes, and found R’s and S’s in the DNA of our termite enzymes. After emailing Dr. Scharf, our Termite Guru, he cleared up the reasons for the R’s and K’s and gave us the correct nucleotide sequences. After three days of grueling work we finally finished designing our genetic constructs and believe that we can finally order our DNA on Monday the 8th, of next week.